Dr. Kadhim Al Sahlanee is agraduate of Bagdad university in Iraq in 1972. 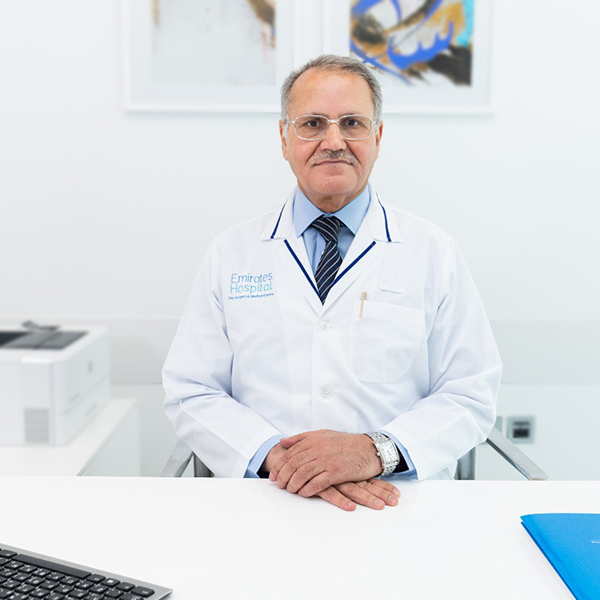 He has got an extensive experience inGastroenterology and Endoscopy extending over 40 years,in various Iraqi, United Kingdom and UAE Hospitals. After obtaining his MBCHB from Baghdad university and working in Baghdad medical city for few years,he was granted a scholarship to the UK for post graduate study and training in Gastroenterology and Endoscopy. Dr Kadhim obtained his membership to the royal colleges of physician of UK in London,Edinburgh and Glasgow,and worked for three years in gastroenterology in various UK hospitals including Prince Charles,St George’s and the Royal Bath and Devon hospitals.Dr Kadhim also served as ahead for Endoscopy services in Fujairah Hospital for almost 20 years.